BERLIN — Germany's governing parties sought Monday to put behind them long-running internal divisions on labor reforms and migration policy, but the results could deepen tensions in Chancellor Angela Merkel's coalition. Merkel's center-right Christian Democratic Union leads an uneasy "grand coalition" of what were traditionally Germany's biggest parties with the center-left Social Democrats, who are trying to reverse a slump in poll ratings ahead of this year's European Parliament election. The Social Democrats' leadership Sunday endorsed a package of proposals aimed at revamping divisive labor market reforms the party launched 16 years ago, as well as calling for a hefty rise in Germany's minimum wage and a right to work at home. The reforms and benefit cuts introduced under former Chancellor Gerhard Schroeder have been credited with strengthening the economy but alienated many of the party's voters. 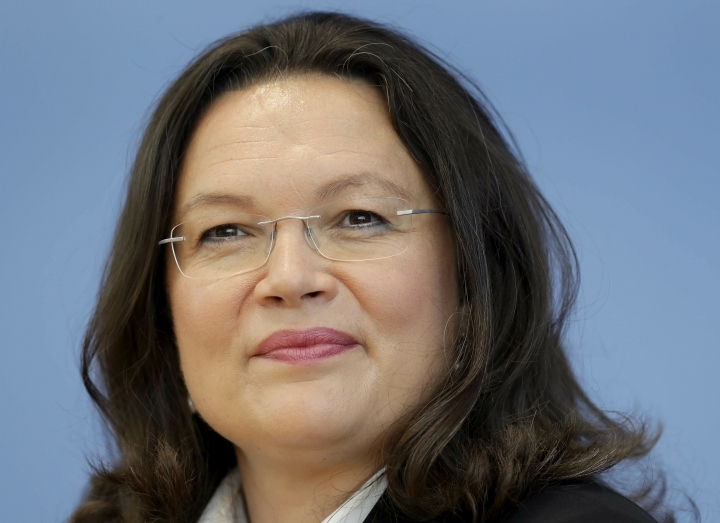 Party leader Andrea Nahles declared that the Social Democrats "are leaving behind us" an unpopular system of limited and conditional long-term unemployment benefits introduced under Schroeder. There is little chance of making the proposals reality in the coalition that the Social Democrats reluctantly entered last year. A deputy CDU leader, Volker Bouffier, charged that they "plan the burial of the social market economy." The Social Democrats appear to hope that a flurry of left-leaning proposals that also has included a call for boosting low earners' pensions could help them avoid a disastrous showing in the European election in May. There has been widespread speculation that a poor performance, or an already-agreed midterm review of the coalition agreement this fall, could prompt the party to leave the government. "We want to govern, but we want to govern with ideas that are in tune with the times," the Social Democrats' general secretary, Lars Klingbeil, said on ZDF television. 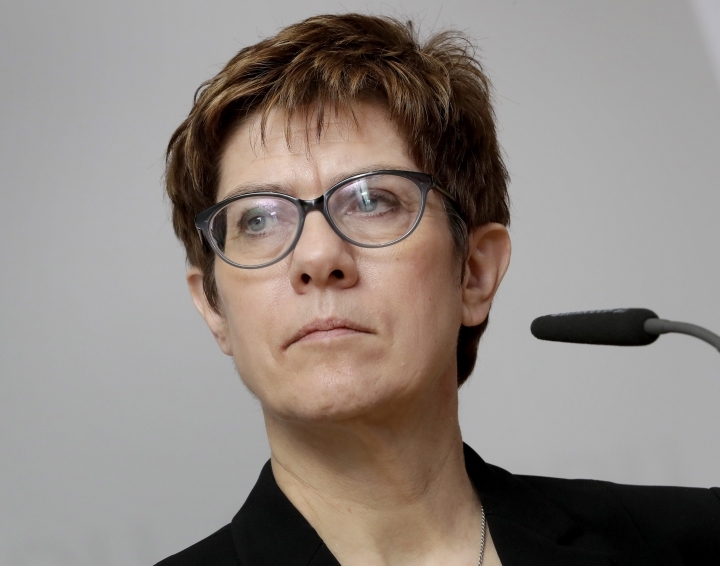 Separately, the CDU was holding a "workshop" Monday to address migration policy, a hot-button issue inside the party since Merkel allowed in large numbers of migrants in 2015 — annoying conservatives and helping boost the far-right Alternative for Germany party.